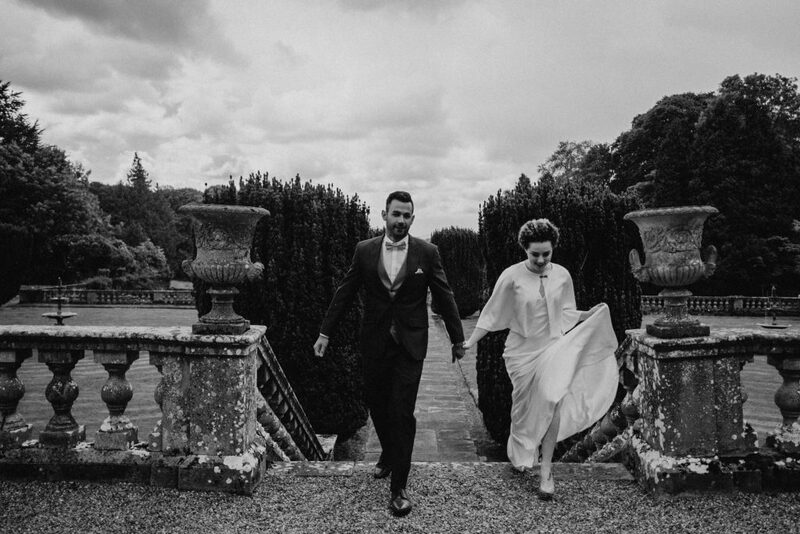 Gloster House is the perfect wedding venue to showcase our collection of vintage inspired wedding veils and capes. A gem of a wedding venue for those couples who are looking for somewhere unique and special for their wedding day. Have a look at some of the images we took for our inspirational shoot. As a wedding designer I am always on the look out for the perfect wedding venue to showcase my designs for photoshoots. 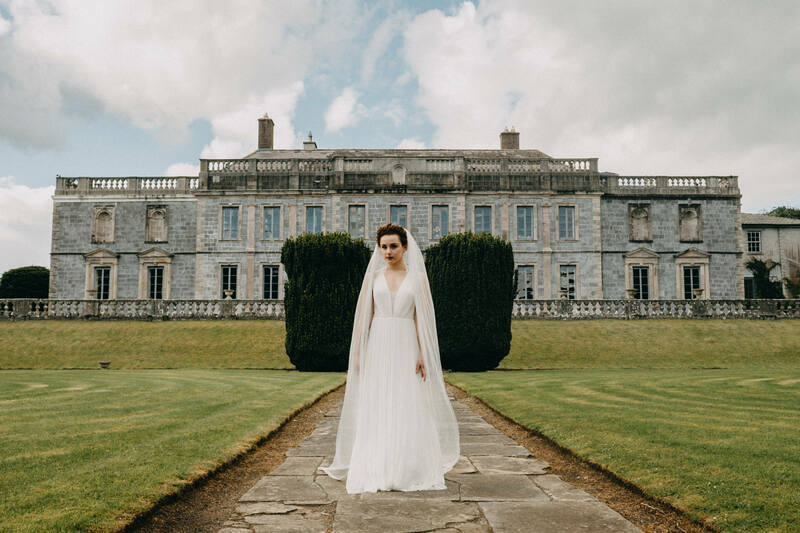 Last month I was working on an inspirational shoot for The Irish Wedding Journal, Autumn edition and I happened upon a gem. Called Gloster House it is owned by Tom and Mary Alexander. What makes this house so special is that it is not only a wedding venue but their home as well. Tom and Mary came to see Gloster in 2000 and instantly fell in love with it, overawed but its beauty they decided there and then to buy it. Once you visit this beautiful home you will understand why. 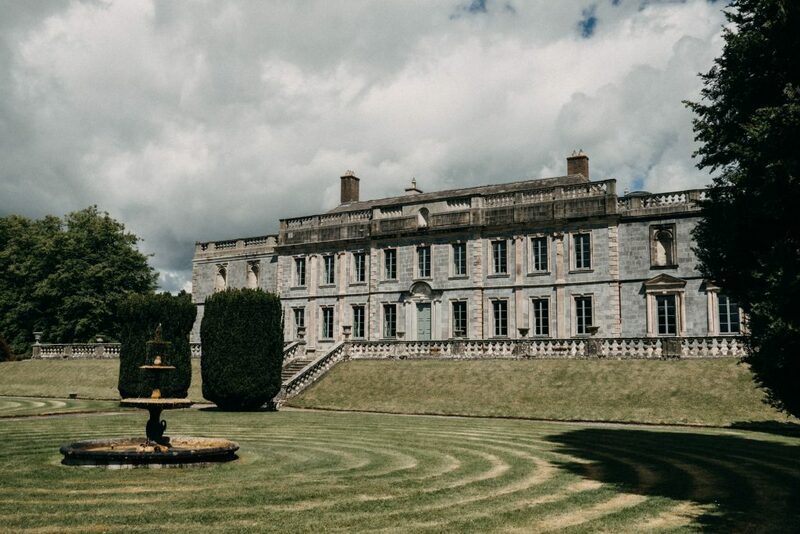 Located at the foot of the Slieve Bloom mountains near Birr in County Offaly, this wonderful house, dating back to 1710, along with its beautiful gardens, water features and early eighteenth-century folly is a delight. Over the past seventeen years they have lovingly restored it back to its glory days, not it would seem, without its trials and tribulations however it has been worth it. Their attention to detail is astonishing and will take your breath away once you open the magnificent hall door. I loved the intimacy of the venue and the homely feel. If you are looking to get married somewhere truly unique and special then this is a gem not to be missed. 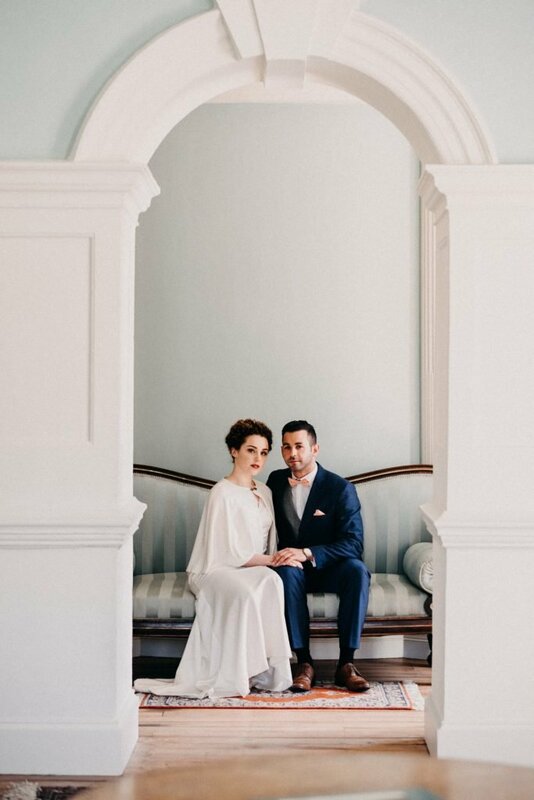 My bridal designs for veils and capes are generally vintage inspired so sometimes the modern venues don’t do my work justice they just look out of place. With sweeping staircases and romantic garden walks I felt I had found the perfect location to complement my designs. Their were so many different nooks and crannies to explore we could have stayed shooting for a week. I am already planning my next photo – shoot just to return! Here are some of the spectacular images we took – enjoy.